I was supposed to give the opening statement at the UNECA meetings, but due to unfortunate circumstances it got cancelled last minute. The press release sent out by Cornell University Press is below. The planned program is here. Other individuals and organizations have expressed their support in private, but it seems we are not yet quite ready for a public debate on the future of African economic statistics. Morten Jerven has recently published Poor Numbers: How We Are Misled by African Development Statistics and What to Do about It, which provides a scholarly and objective analysis of historical and contemporary problems confronting statisticians in Africa. The book argues that one of the most urgent challenges in African economic development is to devise a strategy for improving statistical capacity. At the center of such efforts is the statistical office, which has long been neglected in debates on development in the African region. 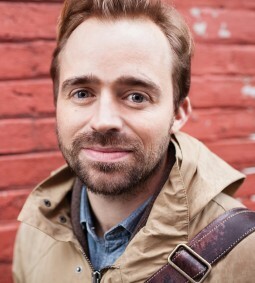 Morten Jerven is Associate Professor of International Studies at Simon Fraser University. His opening Statement “Why We Need to Invest in African Development Statistics: From a Diagnosis of Africa’s Statistical Tragedy towards a Statistical Renaissance” is based on his book Poor Numbers: How We Are Misled by African Development Statistics and What to Do about It, published by Cornell University Press.